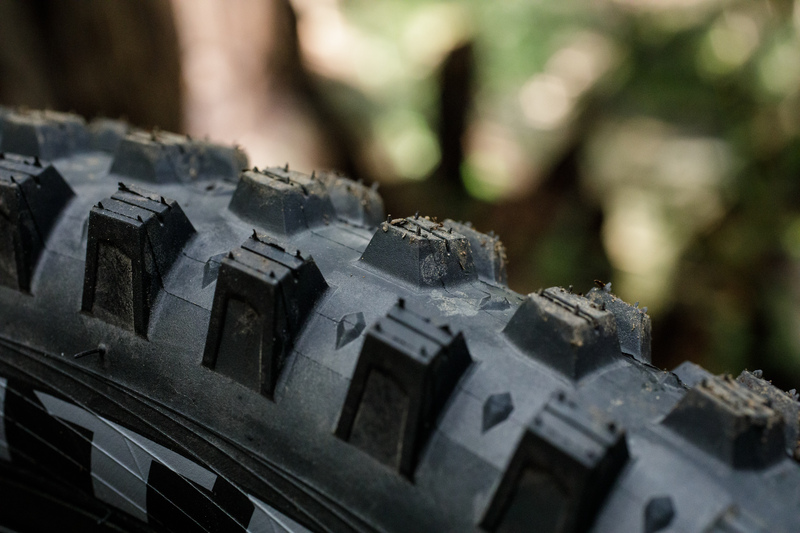 Similar tread designs with huge knobs for both muddy and dry conditions. Trying to find the breaking point in traction with WTBs new Verdict tire. 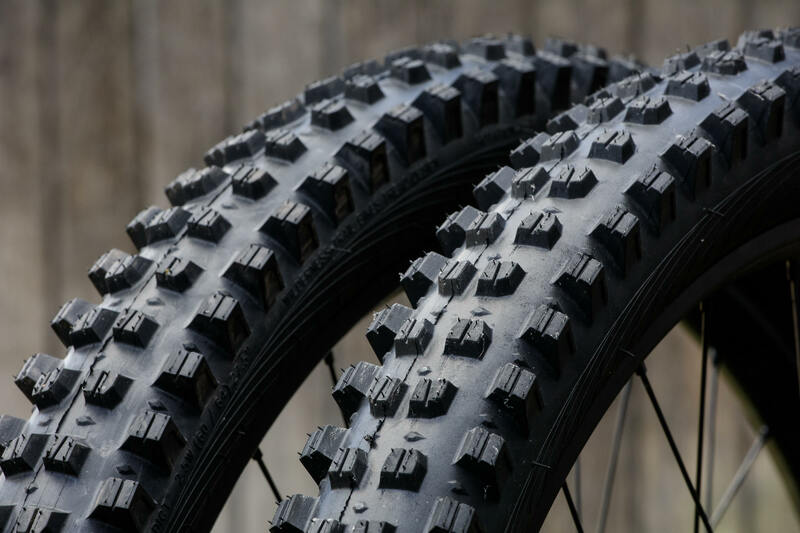 WTB comes flying out of the gate at Sea Otter, unveiling two new tires explicitly designed for the gnarliest conditions. 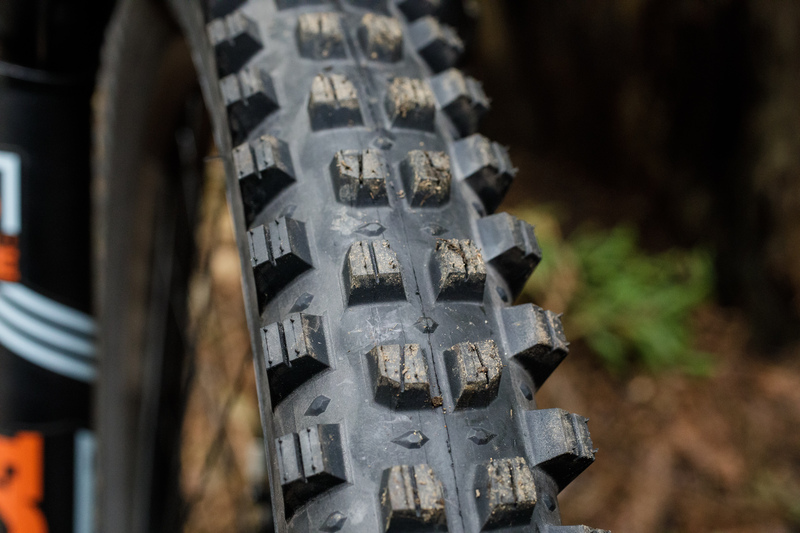 The all-new WTB Verdict and Verdict Wet tires are aggressive and pointed squarely at the enduro and gravity crowd. The pair share a tread pattern designed for loose and fun conditions where grip and predictable traction is paramount. The tread pattern may be the same, but the tires have split identities. The Verdict is at home on dry and loose trails of California as well as tech roots and rocks of the east. 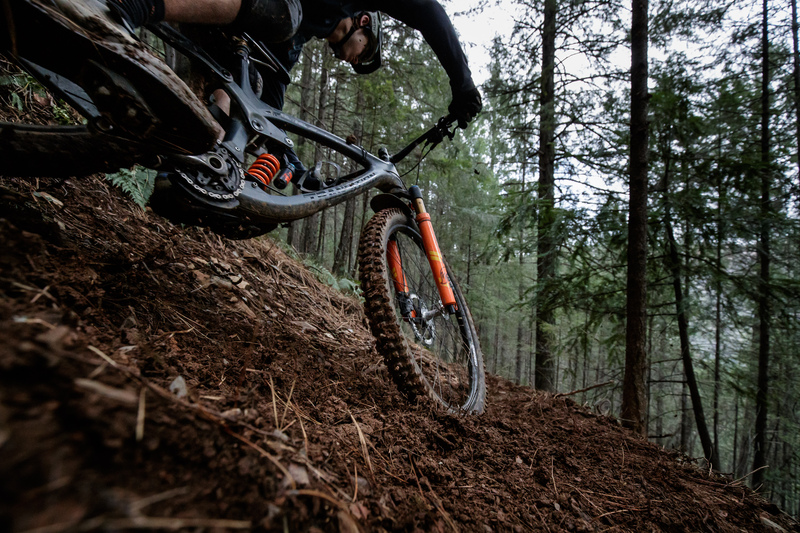 Verdict – Designed for stable handling in unpredictable terrain – think dry and dusty loose terrain, like the kind you’ll see in the summer in California. The Verdict Wet has taller side knobs and a softer rubber compound to aid in grip in the slickest conditions. 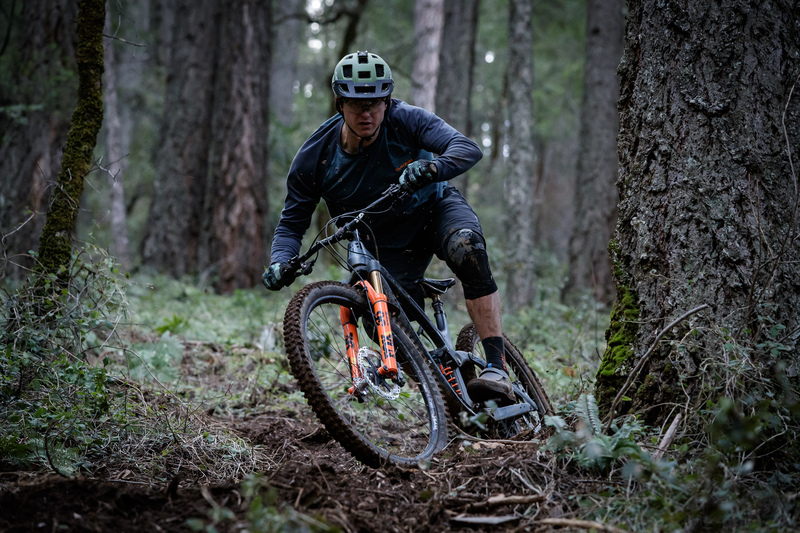 Verdict Wet, on the other hand, excels in the sloppy, muddy ruts – like your average ride in the Pacific Northwest around spring. 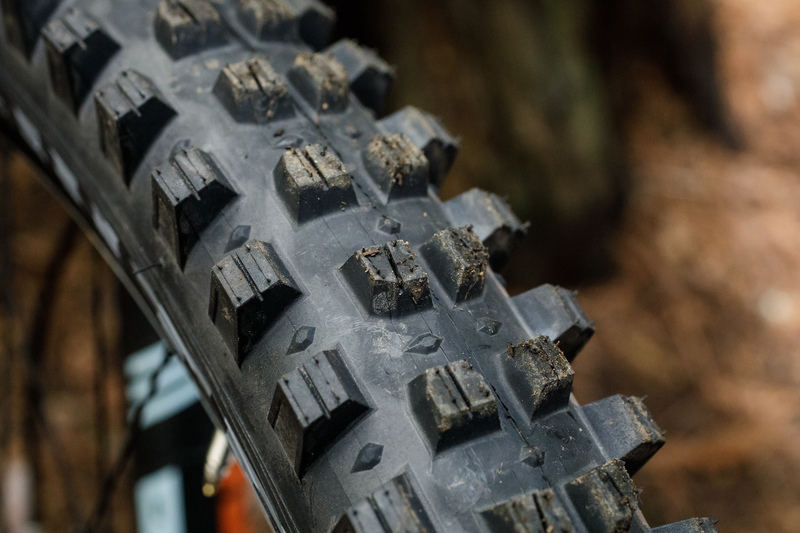 Verdict Wet (left) provides taller knobs that can punch through sloppy and loose terrain to provide traction in unpredictable and muddy conditions. Ample open space between all knobs allows the tread pattern to dig through the dry days of summer and fling mud in the wet months. 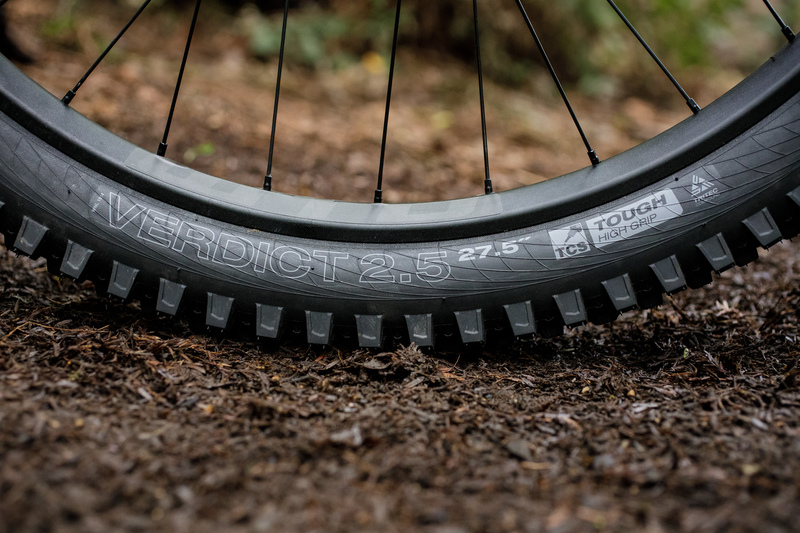 Designed around rims with internal widths around 29mm the Verdict line up strives to offer a supportive ride while also bolstering sidewall protection through ample tread overhang. “It’s completely dependent upon conditions,” explains Clayton Wangbichler, WTB’s product marketing manager. 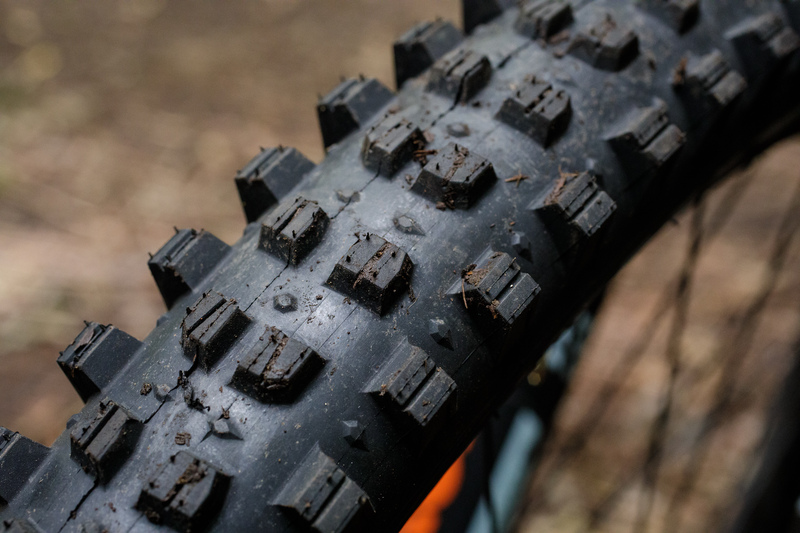 The Verdict gives you ridiculous amounts of grip, but the Verdict Wet is for greasy days where no amount of traction is enough. Days where you wish your goggles had wiper blades.” All Verdict and Verdict Wet tires feature WTB’s new TriTec Compound, which utilizes three rubber compounds to provide different levels of traction, support, and durability based on their placement within the tread. The entire tread pattern is supported by a base of high durometer rubber, which also transitions halfway into the height of the knobs and allows for the use of softer knob compounds without the tire folding due to cornering forces. The tops of the center knobs consist of a medium durometer compound to provide traction and durability without sacrificing rolling efficiency, while the outer knobs feature the softest compound to deliver maximum grip and slow rebound. 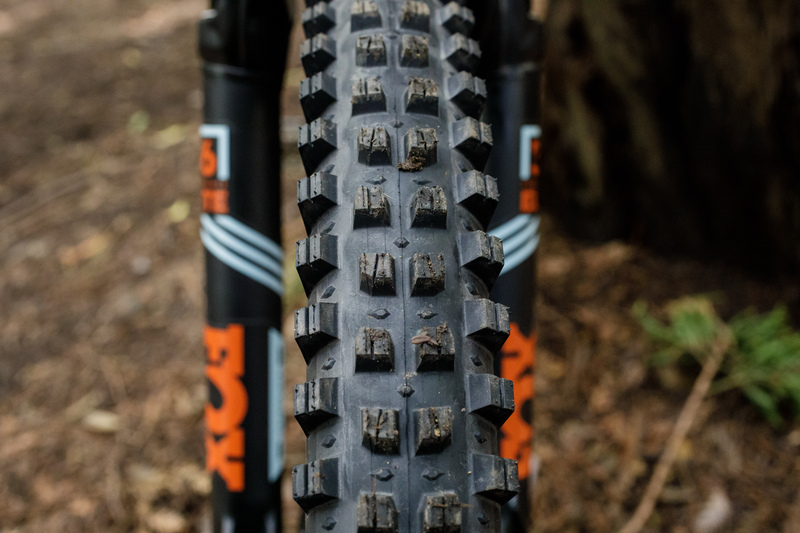 WTB Verdict tire sizing and casing options – something for everyone. The Verdict is available with WTB Tubeless Compatible System (TCS) Light or TCS Tough casing. TCS Light versions of the Verdict feature WTBs Slash Guard technology, which incorporates a protective nylon insert spanning the entire sidewall to provide extra puncture protection without the weight of a dual-ply casing. 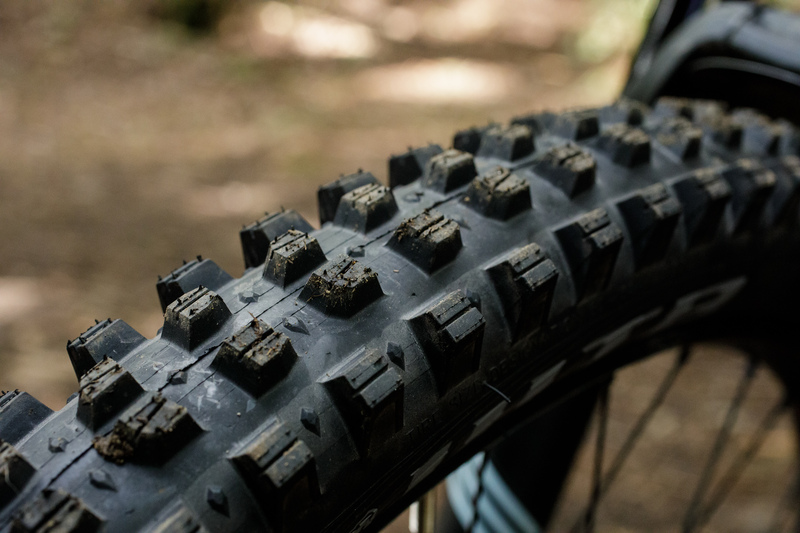 The Verdict Wet is available in a single TCS Tough/High Grip level to provide a stout, supportive foundation that prevents any unwanted flex or squirm often experienced with other tires featuring tall knobs. 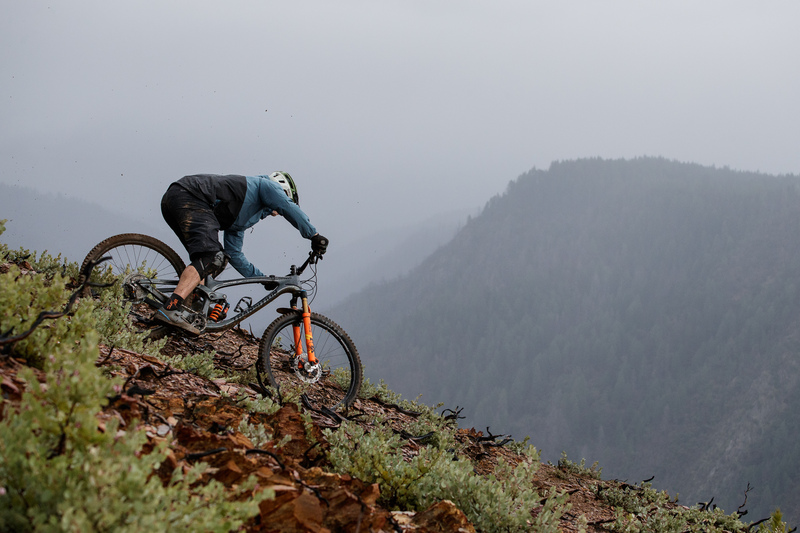 From super sloppy mud to the deep dust of the Sierra Nevada – The WTB Verdict is ready for it. The Verdict, the do-it-all spike is ready to handle anything loose and rocky. WTB suggests pairing either of the Verdicts with tires with the Judge 2.4 tire on the rear for big grip at both ends of the bike. Both Verdict and Verdict Wet should available for purchase at your local bike shop mid-May. Sizes: 29″x 2.5 and 27.5″x 2.5 available in both WTB Light and Tough casing options. 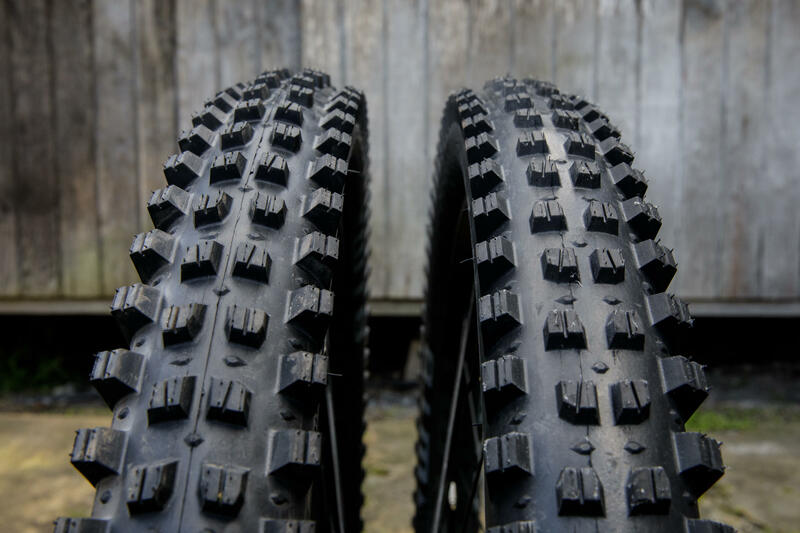 If you’re at Sea Otter visit the WTB booth #110 to check out all the tire WTB has to offer.